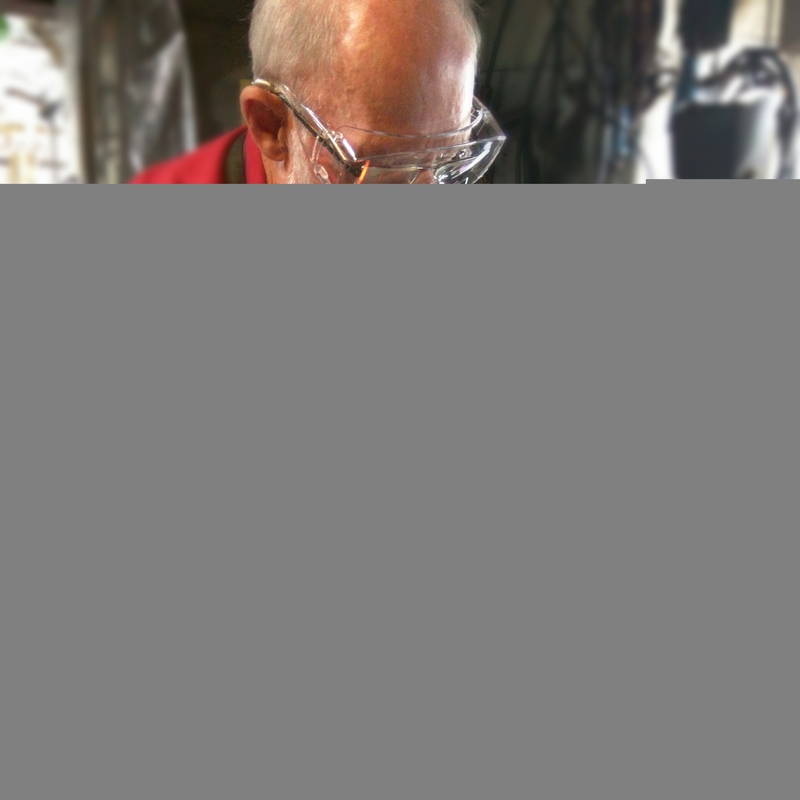 Become a Blacksmith for the day! 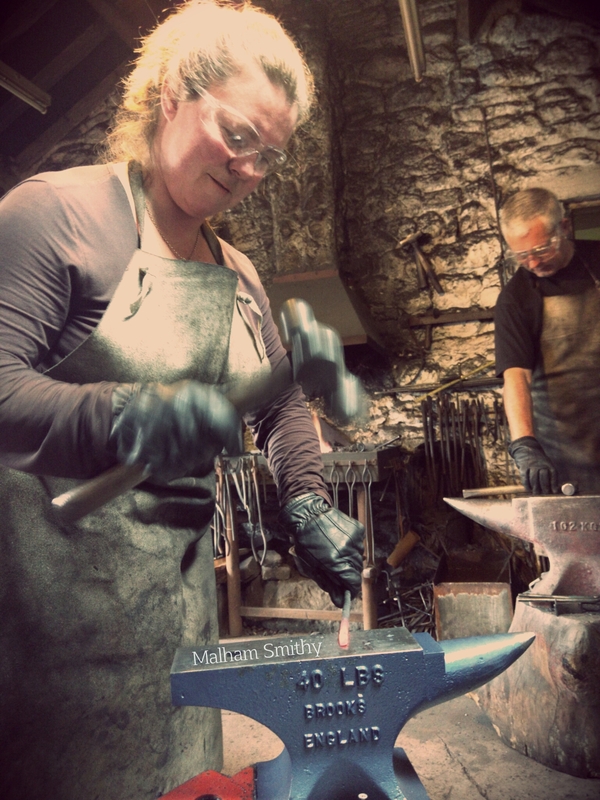 Book in for a Malham Smithy Blacksmith day course for beginners, focusing on learning key basic techniques that are the foundation to all blacksmiths forge work, from a simple hook to an elaborate sculpture. 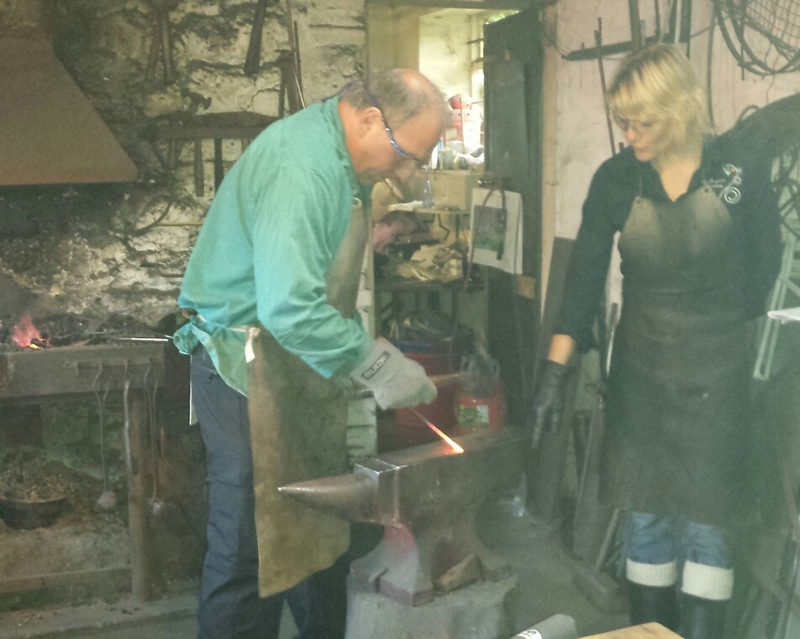 After a simple demonstration you will get straight into having a go at forging with hammer and anvil. 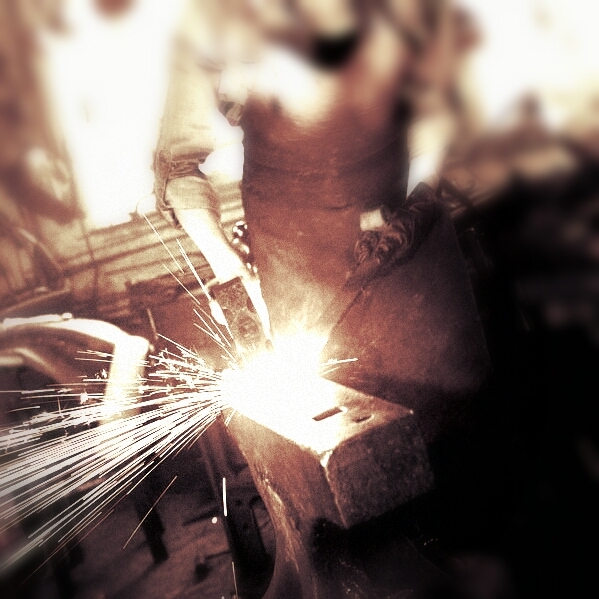 You will be guided to safely use the hand tools and incorporate design elements into practical forge work. 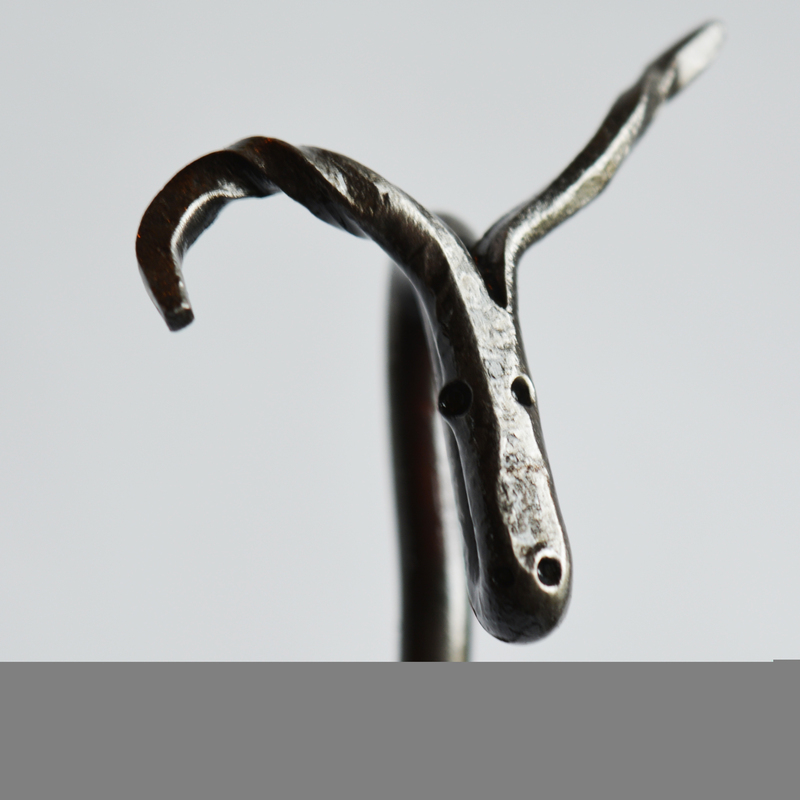 At the end of your forging day you can expect to take away a couple of pieces of your own handcrafted forge work. 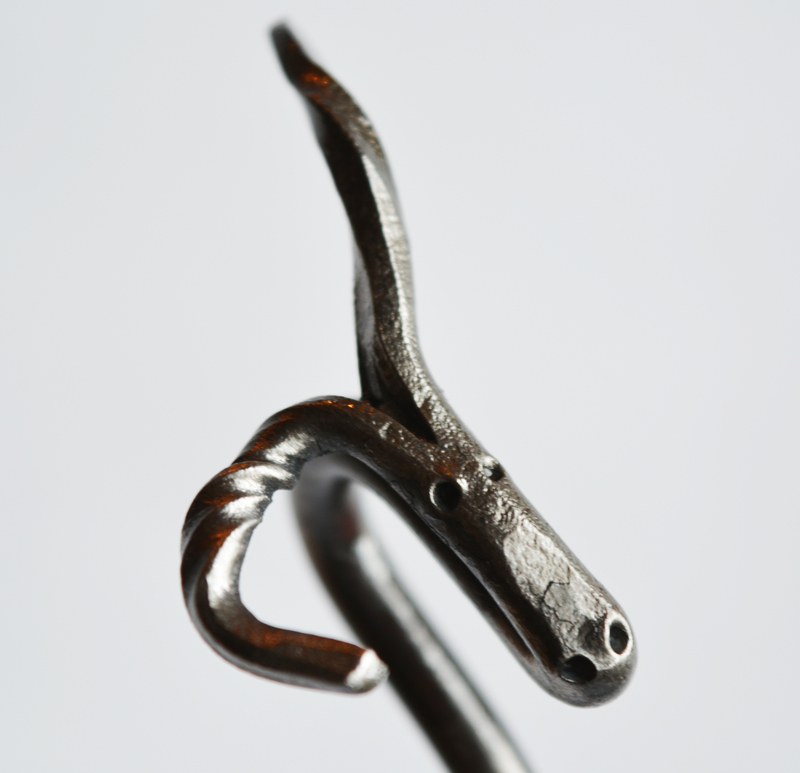 First being your test piece for working on techniques which could take the form of an elegant hook (or a bit of a twisted, split, tapered, punched, burnt scrap metal paperweight...) plus a finished piece such as a toasting fork, poker or coat rack. 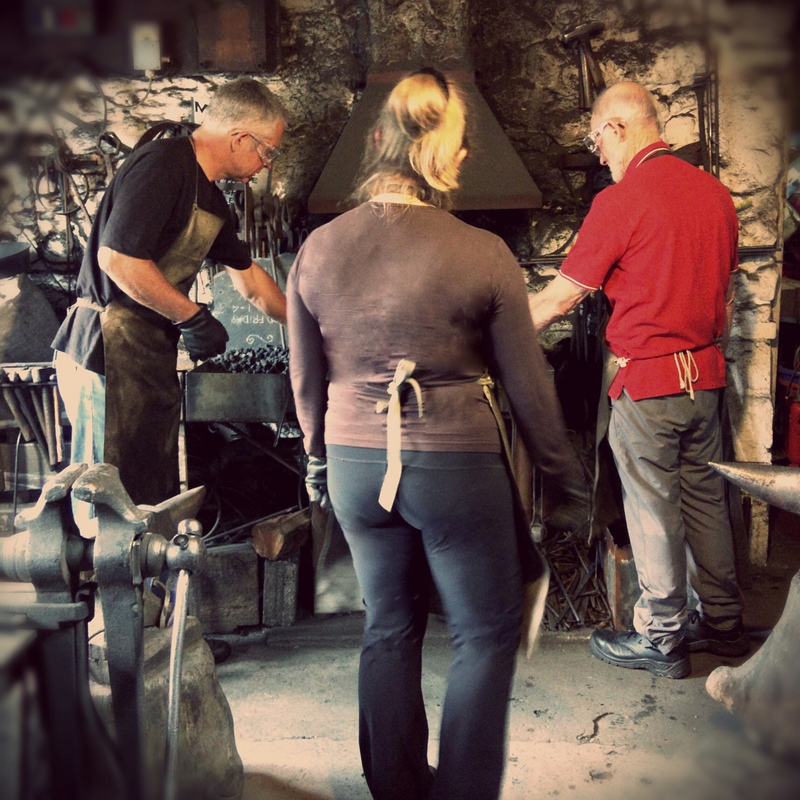 The day course is aimed as a one to one session, or a two person joint booking, for adults with no previous experience, allowing you to get the most out of your time at the forge. 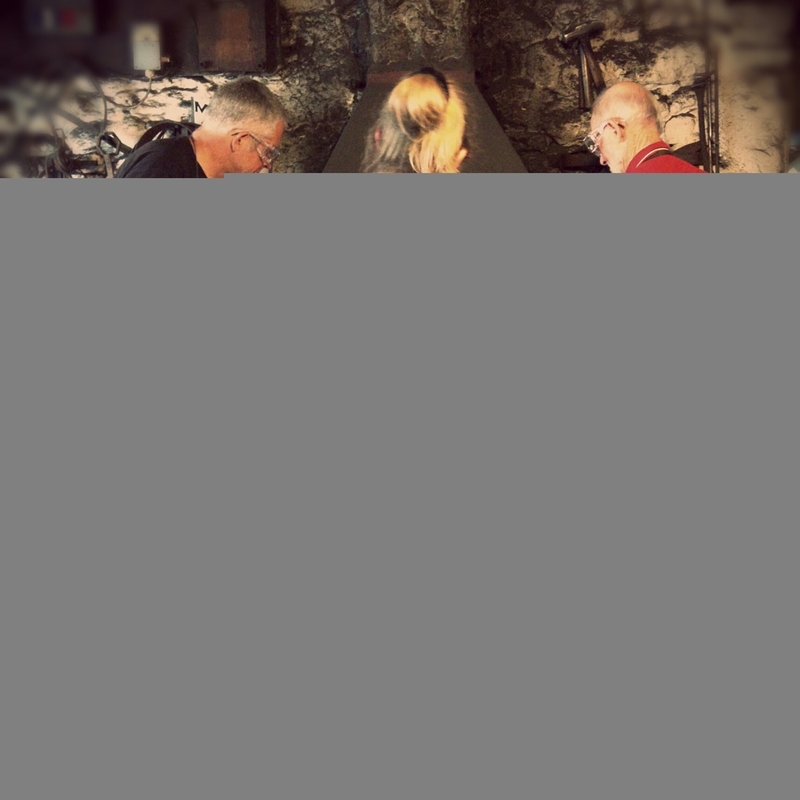 The day is a physical one in a centuries old traditional forge and may not be suitable for everyone. 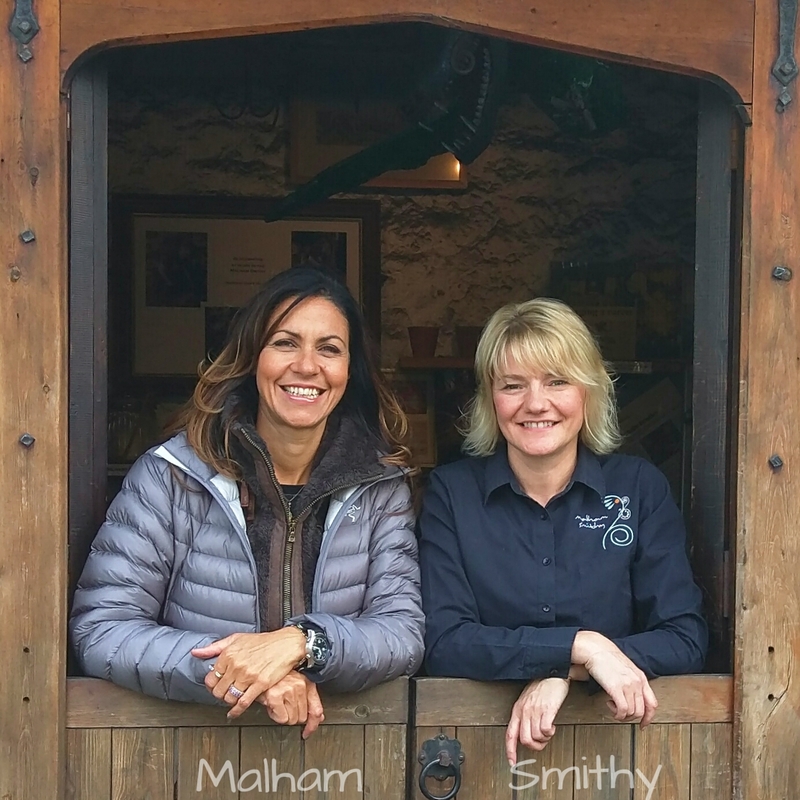 Contact the Malham Smithy if you have any injuries or disabilities before booking. Bookings cannot be taken for people under 18. 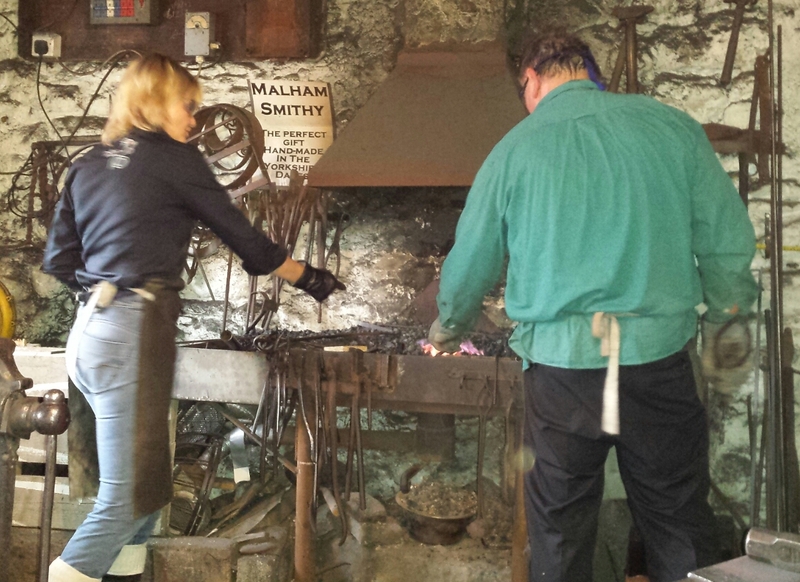 Dates can be arranged with Malham Smithy, both weekday and weekend courses are available. Dates can be booked at the time of purchasing via COURSE BOOKING DATES, or arranged at a later date if buying as a gift. 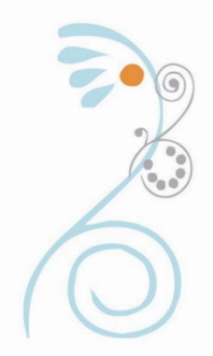 Gift vouchers are valid for 12 months and are available electronically. The timing for the day is a 10am start, finishing at 5pm. You will have a break for lunch, good food is available to purchase in the village from The Buck Inn pub, The Lister Arms pub, the Old Barn Cafe and Beck Hall, all highly recommended. Alternatively you can bring your own packed lunch to enjoy sat by the scenic beck that runs to the side of the smithy. Tea and coffee are provided all day in the forge. You will be provided with safety equipment for the day, being apron, safety glasses and gloves. Wear overalls or old clothes that you don't mind getting dirty or damaged, clothes should be natural fibres, cotton/denim, not synthetic and must have full length trousers and long sleeves. You are required to wear safety boots, non steel toe caps worn at your own risk. 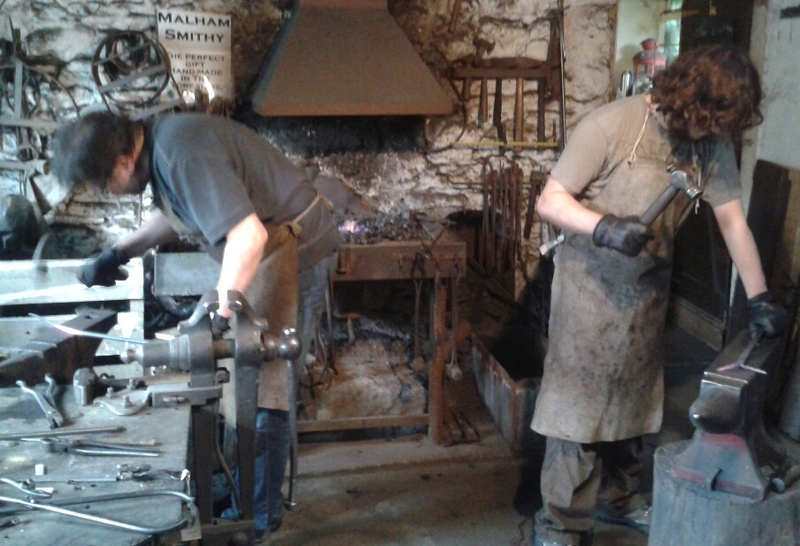 Workwear trousers and tops are available to purchase from the Malham Smithy. Advance notice of sizes required. Standard course costs (2018): Weekday one to one £180, weekday 2 person £290, Saturday two person £330 (no discount for single participation on Saturday). Please note these are one to one or two person courses, we do not add other participants to your booking. Deposit payment required to secure a booking date, balance payable on the day of the course - please note, card facilities are not available for payment on the day. Alternatively full amount can be paid in advance. Gift Certificates will be posted when a course payment is made without booking a date - the recipient can then select a date on receipt. Please note, bookings will NOT be taken via the telephone or email. Click on the payment buttons above to make a secure payment via the PayPal website. Please note Annabelle Bradley or the Malham Smithy does not see your card details at any point during the transaction. Courses are available as weekday or weekend options, for one or two people. Course fees are non-refundable, however if you cannot attend a date booked we will endeavour to offer alternative dates, subject to reasonable notice being given. Gift certificates are valid for 12 months. Book your date now on the online booking calendar link below, alternatively gift certificates will be issued for the recipient to book at a later date. Alternatively buy an Exclusive Gift Package for a truly unique present experience! 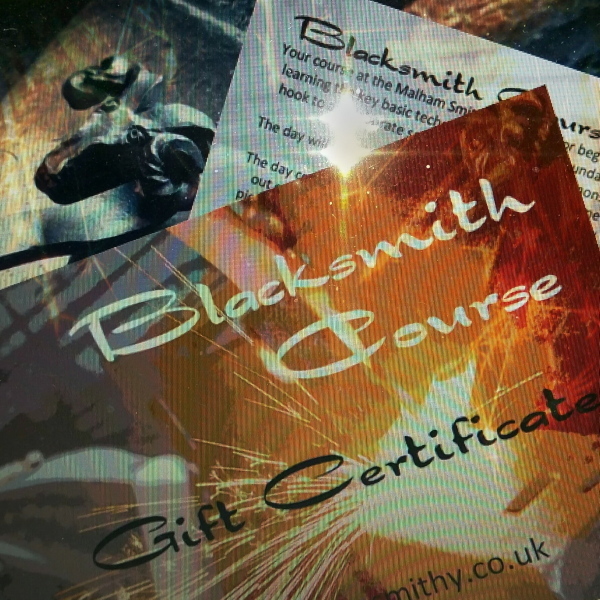 The exclusive gift package includes a personalised hand forged gift, posted with a gift certificate card and details about their experience day course, for you to present as a gift. The personalised gift will be stamped with wording of your choice (up to 12 letters). As the personalised gift is made to order, please allow 4 weeks for delivery. The exclusive package for two people also includes the option to book the course date on a Saturday by request. One to one exclusive is only available on a weekday. Course fees are non-refundable, however if you cannot attend a date booked we will endeavour to offer alternative dates, subject to reasonable notice being given. Prices valid for courses and gift certificates as at September 2018. Subject to change without prior notification. Bookings and gift certificates already issued will not be affected by future changes. For general enquiries on the courses, please complete the form below. To find out about available course dates, please use the calendar link above as dates will NOT be provided by telephone or email. 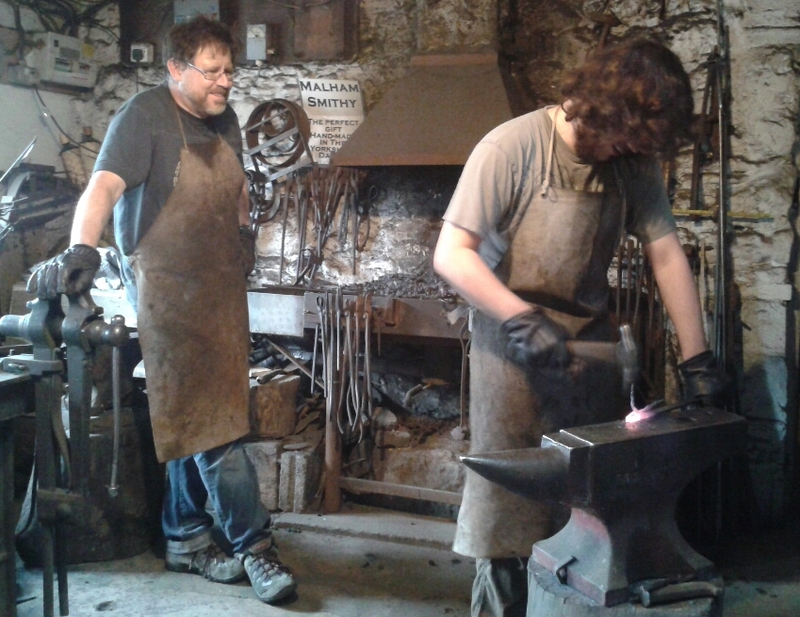 Just had an excited phone call from 2 grown men telling me all about the blacksmiths course they have been on all day with Annabelle. They have thoroughly enjoyed themselves and I was told 'lt was my best birthday present ever' - I have yet to see what they have made but the joy in their voices has been worth it. Thank you for your expert guidance with them both and your help and thoughtfulness when I booked the experience, suggesting and sending a gift card. Comments:	An excellent, informative and thoroughly enjoyable day. Bit miffed to find that Annabelle could out hammer me. What did you forge? 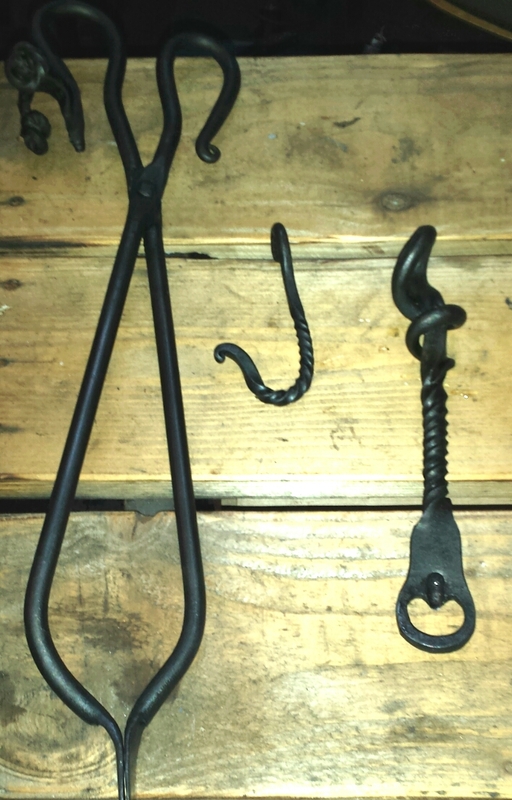 :	Hanging bracket, S hook and a pair of blacksmiths tongs. Recently been on a one to one course with Annabelle learning the basics of blacksmithing, wasn't expecting to get such a substantial amount done! One of the best days I've had & left with some beautiful bits we made. Annabelle filled me with brews all day & we had a proper laugh all the way through. 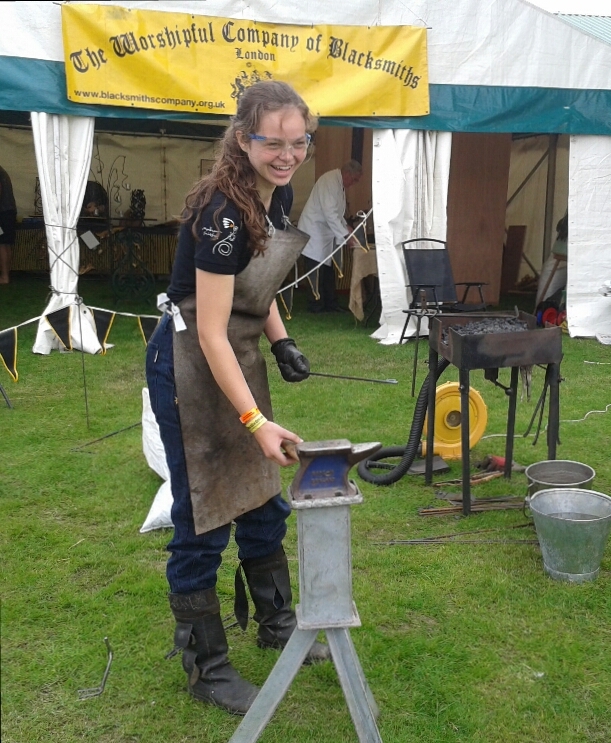 I'd definitely recommend to anyone who wants to try blacksmithing or just wanting to have a go at a new, fun experience. Comments:	We had a fantastic day with Annabelle at Malham Smithy. Annabelle is incredibly talented and was able to pass on sufficient knowledge and skill during the day that we both came away with two pieces that we can be proud of. 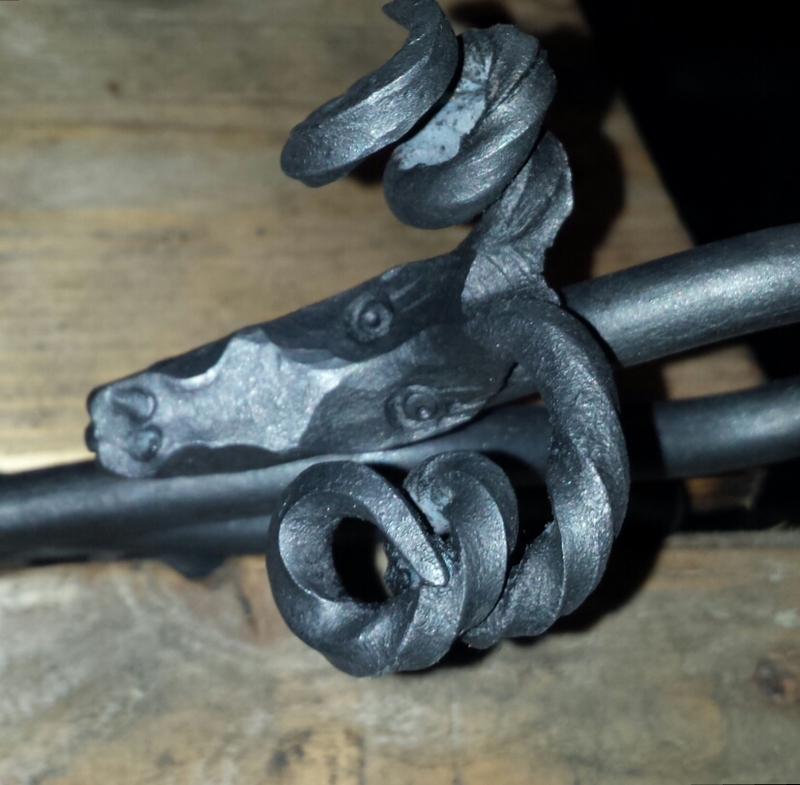 Having never done any blacksmithing before our expectations were far exceeded in terms of our individual work. If you are thinking of having a go then take the plunge, we both had a very enjoyable day and a fantastic experience and will be returning to have another go! I loved this. I have no gift for art whatsoever but that didn't put Annabelle off. She calmly explained what things I could damage (mainly myself) and what things I shouldn't touch ("if you drop the piece you're working on, fight the instinct to grab it, it will hurt") and spent the next few hours showing me how to make a curly hook and a bottle-opener with a slightly wrong looking ram's head on top - the wrongness was all my doing as Annabelle's looked great. She makes a great brew and advised that The Buck is welcoming of people in their work clothes, as well as being about twelve paces across the road and serving Theakstones. Everyone I've told that I was doing/did this course has been/is jealous. Also quite amusing to watch the punters come in look at me (I'm quite a big bloke) and then twig that the slim blonde next to me is actually the one who knows what she's doing at the anvil and I'm the interloper. Great fun and hugely instructive. I had a Great time with Lady Annabelle ...lol, even though I showed up in shorts and t-shirt I was lucky not to get any metal flakes on me. By midday she had me make a bended curly hook, and Leaf keyring that turned out to be more a leaf paper weight...lol. 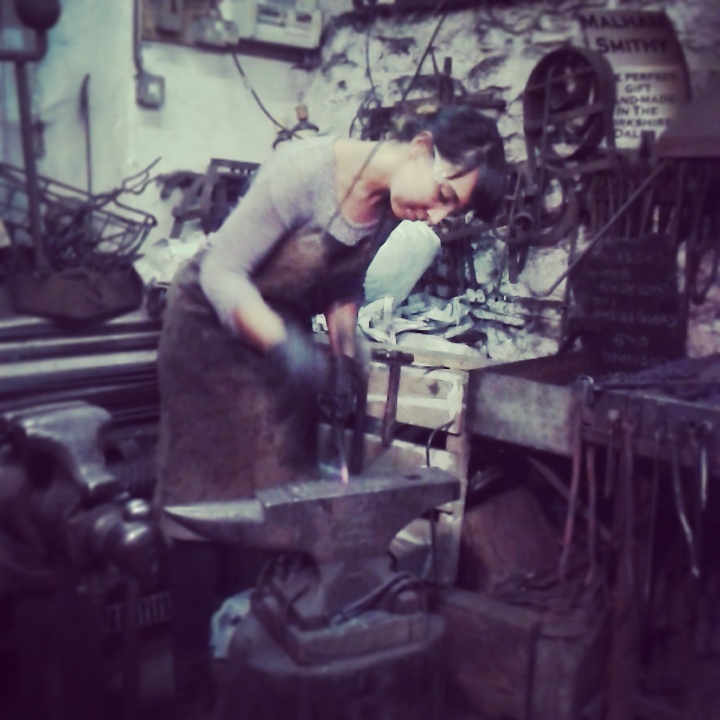 Her forge is small and cozy and just opposite a pub and cafe. there is an easy atmosphere when working with her and you also get the occasional walk in, looking at her work for sale and watching you work on your masterpiece..haha which for me made it even more fun. Annabelle was patient and only stepped in when I found myself lost or unsure of my next step, otherwise she left me to my great struggle and creative curse words (which was spoken using my inside voice).. I would greatly recommend this course and in fact I plan to go again in the future. 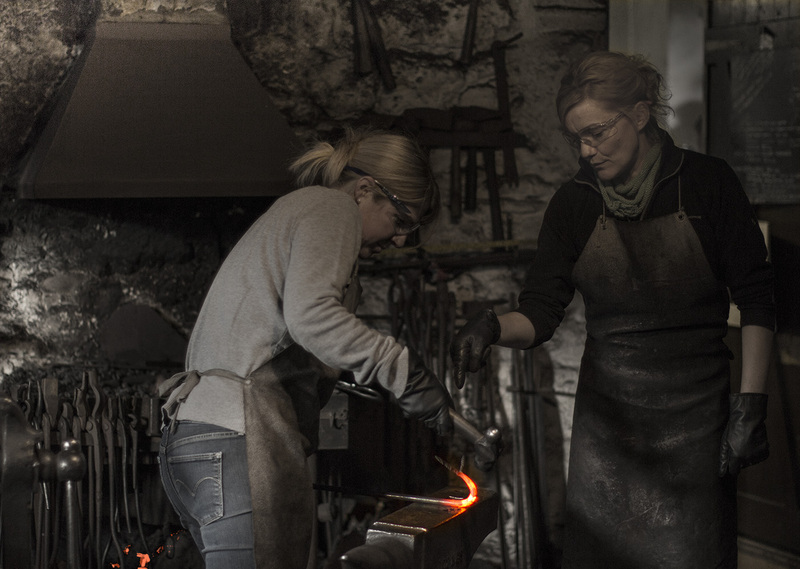 We agree with everyone that Annabelle is an excellent, experienced and patient teacher, as well as an extremely skilled and creative blacksmith. It was a wonderful course and an extraordinary, slightly surreal / magical interlude in our ordinary lives. However, we do have our four solid handcrafted products (good enough to give away as presents) - and the knowledge of how we produced them - to show for it ! 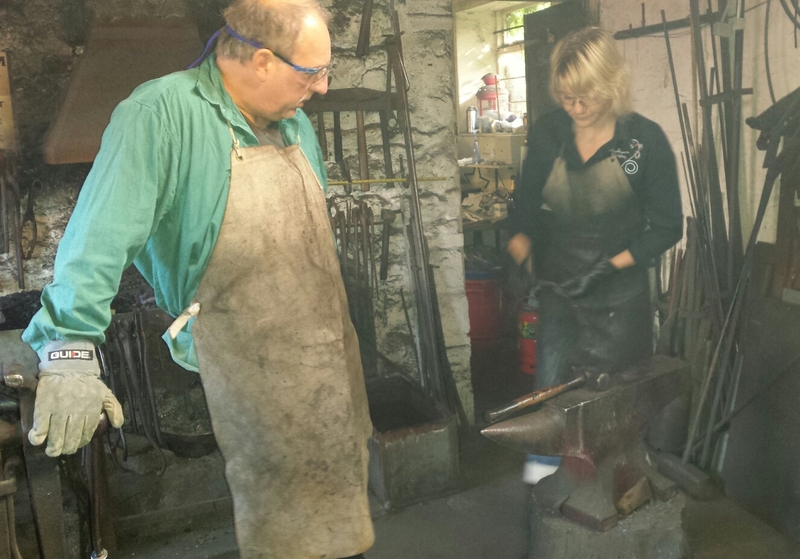 We are also aching slightly from our exertions on yesterday's courses: it does mean standing up continually for two 3-3.5 hour sessions, focusing on what your hammer and hot metal is doing ! Thanks again, Annabelle, for such an inspirational and memorable experience. 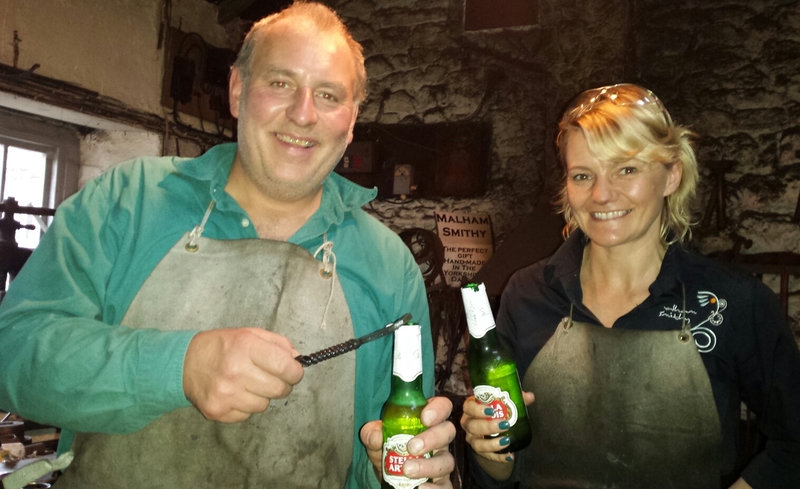 We had a great day in Malham at the Smithy, Chris's favourite birthday gift so far! Annabelle is an excellent teacher, very patient & encouraging. And you start creating a project right away! Definitely recommend to anyone wanting to try something different. Thanks Annabelle! My partner and I had a fantastic day in Malham with Annabelle, it was great to have one-on-one tuition and we were really pleased with the amount we learnt during the day and the items we took home. Malham is a beautiful little village and the pub we ate at was excellent. I would fully recommend this course, especially as a gift. A day to remember and great value for money. 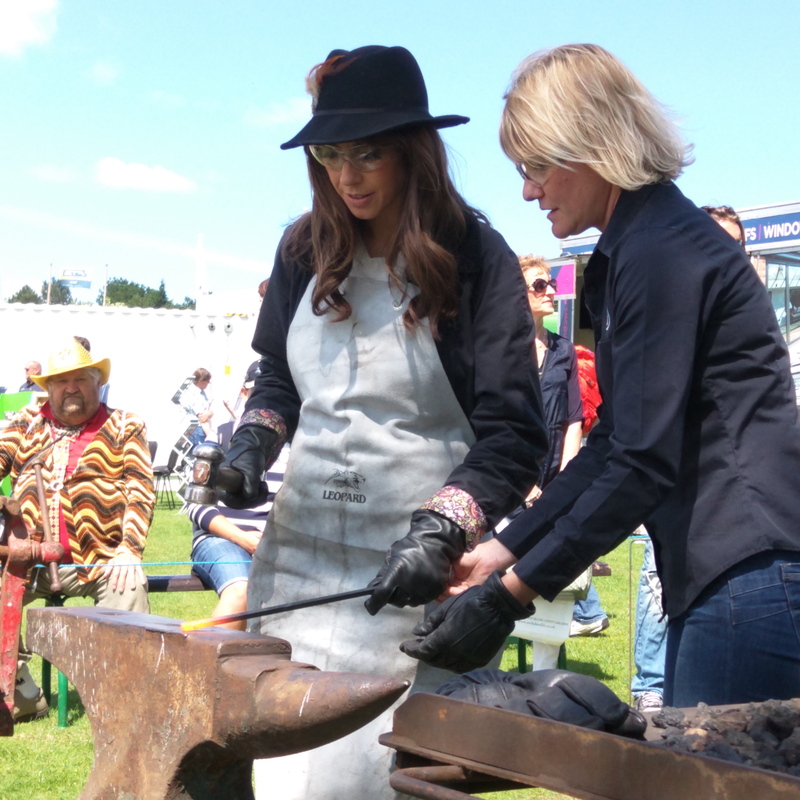 Annabelle was an excellent tutor, being patient, motivating and inspiring me to turn my ideas into reality by taking me through all the basic blacksmith skills. I would fully recommend this course for anyone keen to use their hands to craft something genuinely unique in this character-filled smithy. Brilliant course- excellent value for money! I completed a day course in October and thoroughly enjoyed it. I made a few small projects which I am very pleased with & hope to build upon if I can. 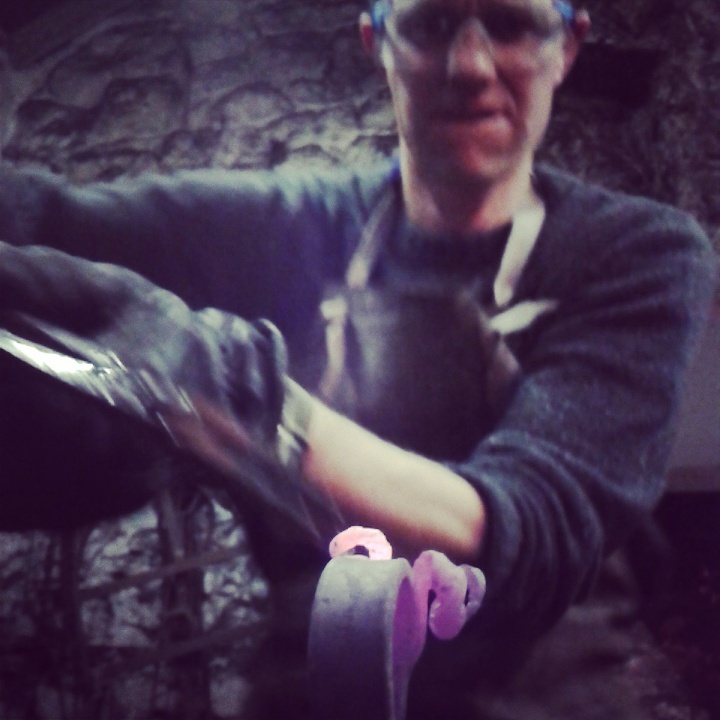 Hope to come back to the forge in the new year if possible and see how much I can remember. Annabelle is extremely friendly and patient - an excellent tutor! There are a couple of really nice pubs nearby and also a good cafe for lunch/dinner. B&B's are next door and also a reasonably priced youth hostel if you need accommodation! Fantastic course both I and my 16 year old son had a great time. In the morning we began by learning a number of basic blacksmithing techniques which we used to make an ornate wall hook. Annabelle was an excellent tutor taking us through each step with patience and enthusiasm. After a substantial lunch at the local pub we progressed to making in my case a rat tail toasting fork and in my son's case a rams head hook. A great experience. Buy a Gift Certificate for a truly unique Christmas present experience! Thank you to all the visitors for the day courses!